The work is high stakes. The service is high touch. The momentum is always forward. It’s smart to have us on speed dial. We want to be the first call you make. And best of all? We’ll pick up. Why do I love the law? How do I serve clients differently? Evan Brown answers these not-so-simple questions. Knowledge, experience, entrepreneurial drive. We have what it takes to guide you through the changing landscape of blockchain and other emerging technologies. Responsive. Accessible. Sophisticated. Pragmatic. That’s what service looks like at Much. We’re a business law firm where immersive client relationships are built on high-touch service. We embrace complex challenges, identify untapped opportunities and deliver practical solutions tailored to our clients’ unique business objectives. At Much, we're proud of our work and our workplace. Business is simple, right? Identify your goals, develop a plan, make it happen. Between vision and achievement, however, things can get much more complex. From practical guidance on day-to-day operational matters to transformative strategies for long-term growth and succession, we get to know your business and provide counsel focused on your unique needs. Construction is everywhere: just look at any metropolitan skyline. But the risks inherent in developing, building, selling, leasing and investing in retail, residential, commercial and manufacturing projects are ever-present. We help owners, contractors, design professionals and investors negotiate the construction process from the ground floor to the pinnacle of success. Bankruptcy and reorganizations offer a legal path toward financial solvency. But the road to recovery can also give rise to significant business conflicts. 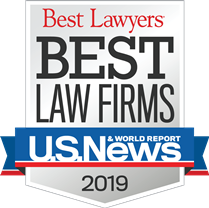 With more than four decades of experience in 40-plus U.S. states and territories, we know—and help resolve—the pressure points and competing interests of debtors, creditors and trustees. Health care is more than a political football. It is essential to the well-being of individuals, families and businesses. 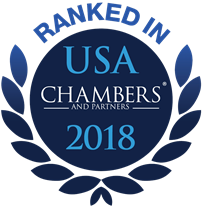 Our attorneys help you adapt to rapidly changing health care policies, pursue emerging market opportunities and find straightforward solutions to even the most complex business, legal and regulatory challenges. Proprietary information, trade secrets and other intellectual property are primary drivers of business growth. Today, your IP rights are more valuable than ever. From traditional patent and copyright protection to entertainment, internet marketing and new-media law, we deliver innovative, proactive counsel and act quickly to resolve IP disputes. Business depends on people—period. Our attorneys give you clear answers and timely advice on everything from employee agreements, regulatory compliance and employee benefits to executive compensation and union negotiations. We help prevent employer-employee disputes and litigate forcefully when the need arises. Disputes are not necessarily a fact of business life—but they are an ever-present risk. From jury trials and bench proceedings to appellate and Supreme Court arguments, we provide litigation solutions driven by your business goals and realities. As counselors, we help you identify and avoid potential risks; as litigators, we are forceful and persuasive. Insurance has one clear goal: to help policyholders minimize potential threats to their businesses, directors, customers and other stakeholders. But insurers and their clients don’t always see eye to eye. When coverage disputes arise, our attorneys help insured businesses and individuals negotiate effective resolutions that protect their interests. A cornerstone of Much Shelist, our real estate team represents parties across the country and from across the spectrum, including developers, buyers, sellers, landlords, property managers, brokers, tenants, institutional investors and syndicators. We negotiate rock-solid transactions and financing terms, work with relevant government agencies and resolve disputes wherever they arise. From Chicago to Silicon Valley—and beyond—innovation is the lifeblood of any economy. Our attorneys share the entrepreneurial spirit that fuels tech-company founders, their backers and the service providers that support their growth. We advise emerging companies at every phase of development: from idea to IPO, and from spin-outs to mergers and acquisitions. You’ve built companies, achieved professional success and created financial security for your family, business partners and employees. Our attorneys—deeply versed in tax law, succession planning, estate and trust administration, and dispute resolution—provide the personal attention you require to protect and manage assets across generations and leadership transitions.